Early morning on Tuesday, February 26 this year, the Indian Air Force (IAF) launched an air strike with a fleet of 12 Mirage 2000 single engine, multi-role combat aircraft to destroy terrorist camps in Muzaffarabad and Chakoti located across the Line of Control (LoC) in Pakistan Occupied Kashmir (POK). The Mirage 2000 fighters also crossed the international border and obliterated a major terrorist camp in Balakot located in Khyber Pakhtunkhwa province of Pakistan. Incidentally, this province was formerly known as the North West Frontier Province (NWFP), a region populated primarily by the Pathan community. This air strike mission was the first of its kind and is widely perceived to be a reprisal nearly two weeks after the dastardly attack sponsored by the Pakistan-based notorious terrorist organisation Jaish-e-Mohammed, on a convoy of the Central Reserve Police Force (CRPF) in Pulwama in Jammu and Kashmir (J&K) in which more than 40 soldiers perished. 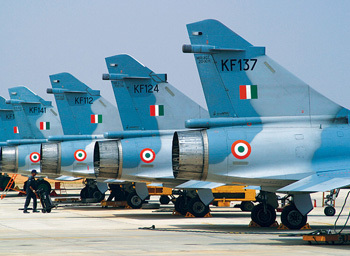 The Mirage 2000 fleet of the IAF that carried out the air strike, flew with their integral airborne radars switched off to avoid alerting the air defence system of the Pakistan Air Force (PAF). The mission was supported by a number of other elements of the IAF which included the IL-78 flight refuelling aircraft (FRA), Su-30 MKI air superiority fighters and Heron unmanned aerial vehicles. But perhaps the most significant participant that played a key role in supporting the air strike mission, was the indigenously produced Netra Airborne Early Warning & Control System (AEW&CS) aircraft. Two of these platforms based at IAF Station Bhatinda in Punjab were deployed in support of the air strike mission. 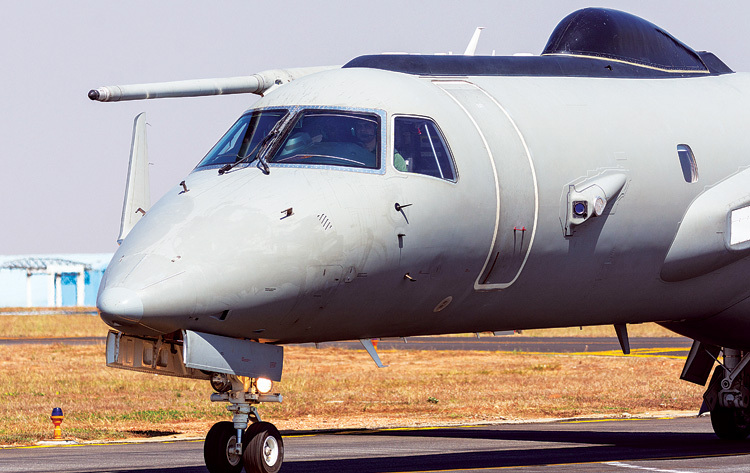 The Netra AEW&CS aircraft is a multi-sensor platform that has been developed by the Indian Defence Research and Development Organisation (DRDO) together with a laboratory under it – the Centre for Airborne Systems (CABS) located in Bengaluru. This is the first successful platform developed indigenously, the previous attempt dubbed as Airavat, failed owing to the crash of the test bed aircraft in 1999 in which the project team also perished. The project was thereafter abandoned. 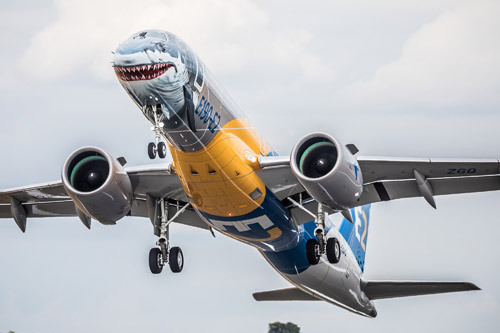 The Netra has an indigenously developed Active Electronically Scanned Array (AESA) radar system mounted on the Embraer ERJ 145 twin-engine aircraft, three of which had been contracted for in the first lot with the Brazilian aerospace major at a cost of $300 million. The AESA radar is an airborne surveillance system which has the capability to detect and track aircraft, missiles, ships and vehicles as well as provide command and control to direct friendly forces. The platform is also equipped with a secondary surveillance radar, electronic and communication counter measures, Line of Sight (LoS) as well as beyond-LoS data link and voice communication system. Feasibility study for the project to develop an AEW&CS platform by the IAF jointly with DRDO, was carried out commencing in 2003. Based on the report, the government sanctioned the project for three platforms to be delivered by 2015. The project to develop the Netra finally commenced in 2007 and the first aircraft was delivered in 2017 after a delay of two years. This was followed by delivery of the second platform soon after. The third aircraft is currently undergoing flight test with the DRDO and is expected to be delivered soon. The DRDO has plans to develop an advanced version of the platform as well. Beyond the initial order for three aircraft, the IAF has placed orders for another six platforms. It is understood that the IAF is pitching for another 20 platforms, the total fleet totalling to 29 to cover both the Western and Northern fronts simultaneously in the event of a twofront war. The Netra has been designed to be an extremely capable operational platform. It has the capability to receive fuel in flight which can double its airborne endurance to nine hours. The AESA radar mounted on top of the fuselage of the aircraft provides electronic scan coverage of 240 degrees up to a range of 500 km, a feature that gives it the capability to track targets deep inside enemy territory without the need to cross the international border or the LoC. Its closest competitor is the Swedish Erieye mounted on a Saab 2000 executive jet, four units of which are in service with the PAF. The Netra can detect radar signals and monitor all communications that takes place among the units and formations of the armed forces of the enemy. The Netra can also alert pilots about incoming missiles as it has infrared detection capability that can sense the hot exhaust of the missiles. While it is not equipped with cameras, it can collect and collate all electronic intelligence it gathers and beam it back live to not only the commanders on the ground to take speedy decisions, but also to the national security establishment in the capital to facilitate monitoring of ongoing operations in real time and take timely decisions. In the wee hours of February 26 this year, two of the indigenously developed AEW&CS aircraft Netra were deployed to support the air strike mission undertaken by the fleet of 12 Mirage 2000 aircraft. The flight controllers on board the Netra assisted the attacking aircraft to successfully navigate and reach their respective targets. Effectively, the Netra served as the “operational brain” that guided the 12 strike aircraft of the IAF as they flew towards Balakot, 80 km from the LoC and destroyed a major terrorist camp and training facility run by the terror group Jaish-e-Mohammed. Remaining well within the bounds of the Indian airspace, the Netra provided continuous surveillance and radar coverage to the fleet of Mirage 2000 aircraft proceeding to strike other targets at the two other locations as well and maintained continuous surveillance on enemy Air Defence systems and warn the attacking jets of any threat emanating from Pakistani fighter jets which could have been scrambled to intercept the Mirage 2000 aircraft of the IAF. The Netra thus kept an eye on any possibility of retaliation by the combat aircraft of PAF and provided valuable assistance in the successful execution of the air strike mission.